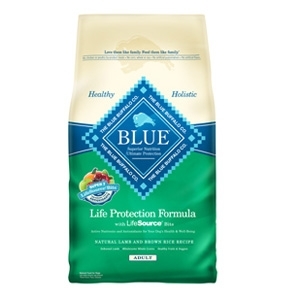 Formulated for the health and well-being of dogs, BLUE Life Protection Formula is made with only the finest natural ingredients. Delicious, protein-rich, deboned lamb. Wholesome whole grains, garden veggies and fruit. NO chicken (or poultry) by-product meals. NO corn, wheat or soy. NO artificial colors, flavors or preservatives.